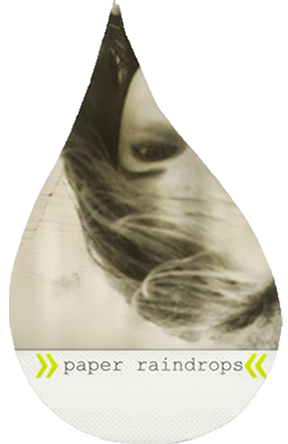 Paper Raindrops: Gratitude Challenge: The Final Week! Cold autumn air and warm cozy blankets. That I can go to dance this week!! Humor and sarcasm. It really does make me happy. INTERNET! Absence makes the heart grow fonder, after all. Home-made super easy delicious hot chocolate. Being able to go to church after missing two weeks. That our church is so amazing that I actually miss it when we're gone. Being able to chill and be lazy. That we have our doggy back. She spent two weeks with some of our friends, and we missed her lots. Being able to get up early and not die. Getting tons of school done. Gettin' my nails did. OK, so I actually did them myself. But still. Being able to wear crazy crazy tights to dance, cuz costumes where allowed this week. I didn't have an actual costume, but my tights were awesome. Bold black and red stripes, baby! Oh, yeaaah. Being able to get up early. Coffee. I have liked having a small cup now and then since I was like 5 ... my grandma started me out young. :) But I recently discovered what a pleasant way it is to wake up. You drink warm coziness, and then all of a sudden you're wide awake! None of that rude awakening stuff for me, dude. Getting lots of school done. Feels good! Woot! Getting tons of good ideas for a writing project. Can't wait to see how it turns out! Finding super funky cloth for a sewing class project. One of the patterns I picked was a cow print. :) Why? Cuz it's awesome. Duh. Getting together with a bunch of people, turning up the music and cleaning our church. It was more of a party than a chore. Learning new dances with some of our friends. They're hosting a ball soon, and we went out to learn the new dances. They're "old fashioned" dances, where you switch partners and go under arches and stuff like that. And. It's. Awesome. Guys who actually enjoy dancing, and don't think it's sissy (cuz it's not). YES. That God has a sense of humor. Being able to make an epic wish at 11:11 p.m. on 1/11/11. But I need to think of an even more epic wish for 11:11 on 11/11/11. Just a few days to go!! Getting most of my school done, yet again. Oh, yeaaah. Having a friend to chat with when I needed a break. Going to my dance studio. Have I mentioned how I missed it?? Tap. I still stand around scratching my proverbial head most of the time, but hey. I still love it, and you can't stop me! That Dad said I could look into getting texting. Not *quite* there yet, but I have permission to check out prices and stuffs! Hot apple cider. Again. Hey, I like the stuff, OK? The Biggest Loser. I don't know why, but I really enjoy watching that show! Sleeping in, first time this week. YES. Isaiah 30: 21 Whether you turn to the right or to the left, your ears will hear a voice behind you, saying, "This is the way; walk in it." Not having sewing class today after all. I love sewing class, like a lot. But I was glad to have one less thing to do today. Sunshine. And semi-warmth. In November! Seeing my cousin and aunt, even though it was only for a few minutes. Ballet. Are you getting tired of this being on my lists? Well tough. Cuz it's one of my favorite things. Sending my very first text ever. Shocking, right? I love doing new things. That my sister (a wedding photographer) booked another wedding! That my brother (who hires me to do all his online work) sold another item on etsy! Being able to play soccer well tonight! So there we go! Counting all three weeks, that makes 210 things I'm thankful for. Not bad, eh? So what are you thankful for? Do tell. Coolio. We both did it. Yay!!! And I'm still your only commenter.